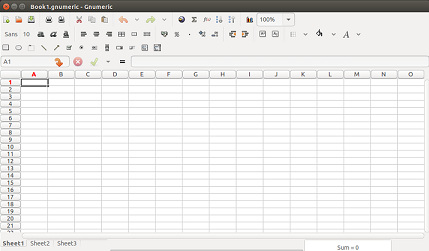 Gnumeric is a well known, open source spreadsheet editor which aims to provide a free alternative for Microsoft Excel application on Linux operating system. Although it is originally developed for GNOME desktop environment, but it works flawlessly on Unity and KDE desktops as well. It has ability to import and export a large number of file formats and offers a good set of spreadsheet manipulation features. The very first version of this application was released in 2001; recently, the newest version Gnumeric 1.12.23 has been made available. Let’s review its prominent features and installation process on Ubuntu Linux operating system. This release introduces a new fuzzed file hardening feature. According to the release note, further improvements have been made to the import and export feature of the application and support for some advanced file formats has been added. Many new features and improvements have been introduced with respect to Open Document Format (ODF). Apart from new features, many bug fixes have been performed for this new release. Let’s install this latest version on our Ubuntu system. Here are the pre-requisites/dependencies that must be installed before we attempt to run this application. Run following command to install the pre-requisites on our Ubuntu system. Once pre-requisites have been installed, download its source files from following URL. As soon as the download process is complete, launch your terminal and go to the download location, here run following command to extract the downloaded file. Here run the following command to start the installation process. Now complete the installation process by running the following command. Congratulations, Gnumeric-1.12.23 has been installed successfully now. Launch it from Applications menu. There you go, start using this spreadsheet application. 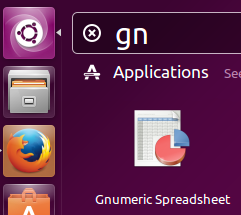 Gnumeric is a popular tool and is already part of Ubuntu packages manager. You can install the old version for gnumeric by running the following APT package manager command. Gnumeric works on both Linux and Microsoft Windows operating systems. It is a popular choice for spreadsheet application on Linux distributions, installation and usage is pretty easy. Try it out today, do let us know in comments about your feedback. There are newer versions, so you could link directly to the folder that shows them all.